Make someone’s birthday special and give them the unique gift of a gemstone from their birth month. 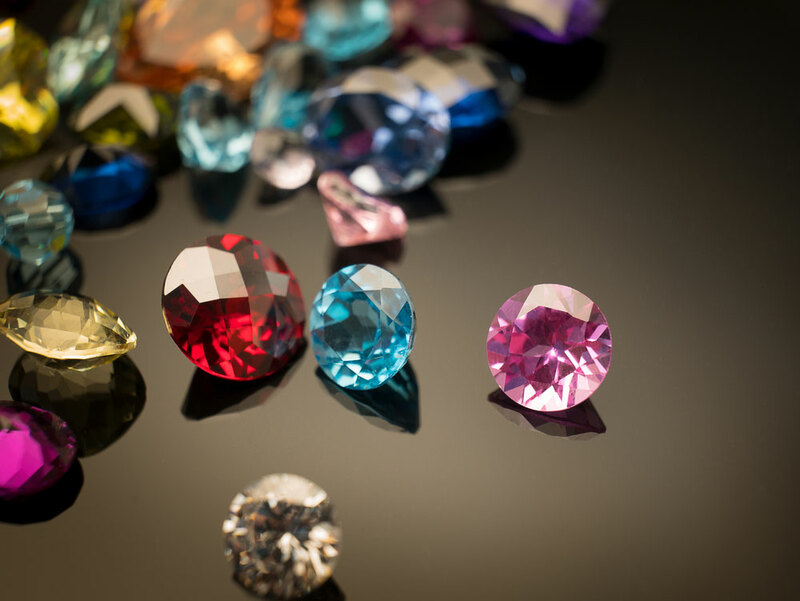 Today in the Preusser Jewelers blog, we take a look at the birthstone for each month. The birthstone for January is garnet, and it comes in every color but blue; however, most people think of its deep rich orangey-red tone. The birthstone for February is amethyst. It’s finest color is a deep, bright, royal purple but it can be barely there lavender or almost a black-purple. The birthstone for March is Aquamarine. This stone is an amazingly bright, light-blue hue but can be found in more vibrant blues and greens. The birthstone for April is diamond. This famous stone is brilliant and beautiful and is used in many different jewelry pieces like bracelets, necklaces, earrings and rings for both men and women. The birthstone for May is emerald. This gemstone is a sparking, bright, and vivid green color. Even the finest emeralds will have small visible characteristics which add to their uniqueness. The birthstones for June are pearl and alexandrite. The pearl is a gem that is created by many different types of oysters and mollusks. They can come in many shapes, sizes and colors. It is one of two gems that comes from an animal. Alexandrite is a color-changing gem and is one of the most rare gems on earth. In its finest form and in different lighting, it can look greenish and then appear to be red or even violet. The birthstone for July is ruby. The finest rubies are rich with a vibrant, true red, and can be used in engagement rings because of their hardness and durability. The birthstone for August is peridot. This unique stone is a striking apple to lime to olive green color. The birthstone for January is sapphire. This gem is usually considered to be a brilliant bright blue, but it is available in every color of the rainbow. It also shares a link with a ruby, they both are corundum. For example; when a stone has a deep magenta-pink tone it is still sapphire. When the tone becomes red it is called a ruby. So you could say a ruby is a red sapphire! The birthstones for October are opal and tourmaline. Tourmaline like sapphire comes in every color of the rainbow, most commonly known for its pinks and greens. Opal is especially unique depending on its play of color and pinpoints and how mother nature creates it. The birthstones for November are citrine and topaz. Citrine comes in pale yellow all the way to dark brownish-orange. Topaz can be yellows and a Caribbean blues to green tones. In its rarest form its called precious topaz which is a beautiful combination of pink to orange. The birthstones for December are tanzanite, turquoise, and blue zircon. Zircon should not be confused with the man made gem called cubic zirconia. Zircon is the most refractive colored gem. Tanzanite only comes from Tanzania and it is truly unique as when the light enters this gem and leaves it your eye will have a hard time telling if its blue or purple, that’s because the gem breaks the light into two rays: violet and blue.